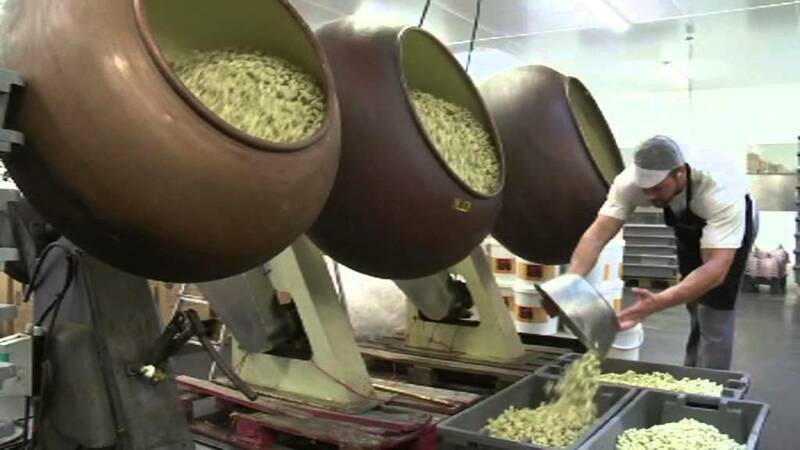 Le Chocolatier Sablais is a French artisan producer of premium chocolates (100% pure cocoa butter) and nougat. We are IFS certified (Global Food market - Intermediate) and we have the organic certification since 2016. Come and discover our broad range of products: from the traditional recipes (praline, feuilletine, mendiants…) to the most original creations (chocolate dinosaurs, chocolate bottles…). Quality is always key to us. We also pay great attention to our packagings. You'll notice and taste the difference! This is the perfect gift for celebration! Share our chocolate bottle with the beloved ones. It is made of 100% pure cocoa butter and hand-painted. This Santa is made of 100% pure cocoa butter and hand-painted with natural colors. Also exists in 400g and 750g. Chocolate slabs to share - 4 compartments with dark, white and milk chocolate, dried fruits and nuts. Our Easter eggs are eye-catching. They are made of 100% pure cocoa butter and hand-painted. The biggest is 5kg!